Vanity bowl sink that is carved from green onyx. This stone is beautiful and has a translucent cloudy green color. 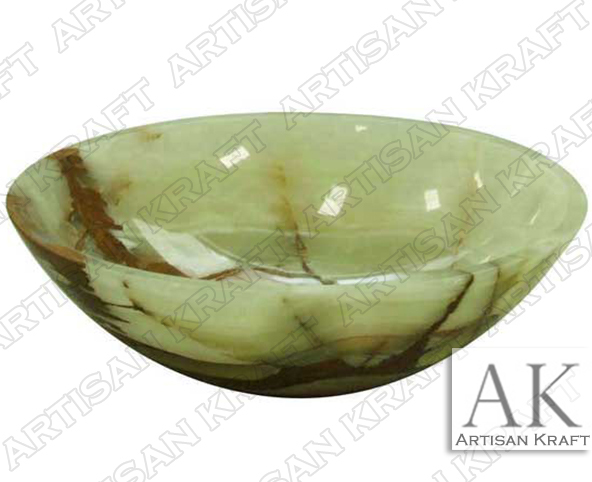 This bowl sink has been made from green onyx. This stone also has a very unique and distinct brown veining. The brown veining in the green onyx has a blotted veining effect. Onyx has been used for thousands of years foe statues and bowls. It continues being used today due to its beautiful qualities.